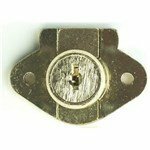 Taylor Security & Lock, a Craftmaster Hardware Company (Taylor), has been a wholesale distributor since 1972 and our top priority is to supply our customers with the Locks and Door Hardware products they need, as quickly and at the lowest prices possible. 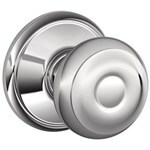 In our Residential Section we carry all of the top brands including Kwikset Locks, Schlage & Dexter, as well as Decorative Hardware from Emtek, Omnia, Fusion, Rockwood & Ives. 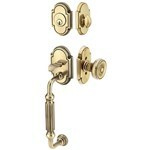 Taylor is also an authorized dealer of Z-Wave Door Locks & Z Wave Controllers from Kwikset & Schlage Nexia. Our Commercial Lock section features the most trusted names in the industry - including all lines of Schlage Commercial Locks & Mortise Locks. We offer a wide selection of Door Closers from LCN & Norton, Exit Devices from Von Duprin & Corbin Russwin, and complete lines of Commercial Grade Locks from Yale Security, Sargent, Russwin, Adams Rite & Marks Commercial Hardware. We are also a leading distributor of Pushbutton Locks from Simplex & Alarm Lock Trilogy, and are an exclusive distributor of the high security X-10, CDX-10 and the new LKM10K Electromechanical Locks. As a specialist in the ever expanding field of Access Control we warehouse a wide variety of Electric Strikes from HES, Folger Adams and Rutherford Controls (RCI), as well as locking Door Magnets, Power Supplies, Push Buttons, Door & Motion Sensors. In addition to Door Locks and Hardware Taylor is one of the country's largest independent distributors of Master Lock Padlocks, American Lock, Sesamee & Abus Padlocks. We stock all types of Padlocks such as Keyed Padlocks, Combination Locks, Locker Locks, TSA-Approved Padlocks, Gun Locks, Bike Locks as well as Chains & Cable Locks. 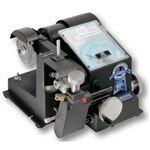 Being in the Locksmith Supply business for over 40 years Taylor is a top distributor of Locksmith Tools, from Key Machines to Keying Kits, Key Storage Cabinets to Keyblanks, Cylinders to Safes. 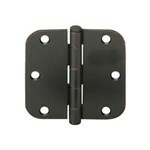 We also specialize in Locks for Cabinets & Drawers, Hinges and Sliding Door Hardware, including Pocket Door Locks & Decorative Door Pulls. So be sure to make Taylor your One-Stop-Shop for all of your Lock and Door Hardware needs. Please contact us direct via our toll-free number (800-676-7670) or e-mail us (Sales@TaylorSecurity.com) so that we can help you find the products you need at the low prices you should pay. 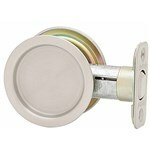 Taylor Security & Lock : Years of Experience, Wholesale Prices.